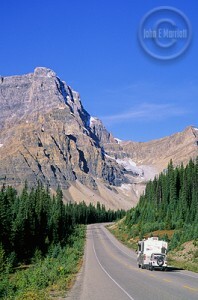 The Canadian Rockies and Banff, in particular, are usually considered holiday destinations for most people. However, as the tourists begin to arrive in their droves; someone has to be there to provide the necessary services for them. The feeling of anticipation for the winter season is already bubbling in Banff and job vacancies are popping up everywhere from town centre to ski hill. Below is some information to help you find your feet. Follow your career path in Banff. In Banff town centre, there is an extremely helpful Job Resource Centre run by Michel Dufresne. If you are arriving in Banff and don’t know where to start looking for work, this is easily the best place to start. The staff are numerous, knowledgable and extremely helpful. Amongst other services, they provide resume and cover letter writing assistance, internet access, career coaching, local job postings and a resource library. There are also free fax and phone services to call potential employers . This service is free, available in French or English and open all week.